1. Back Pain is one of the leading causes of disability worldwide. 2. Back Pain is one of the most common reasons that people have to miss work on a daily basis, and is one of the most common reasons people need to visit their doctor. 3. Americans spend billions of dollars each year on because of back pain. 4. Most cases of back pain are mechanical which means they are not caused by serious conditions. 5. The majority of working Americans admit to having back pain at some point in their lives. The back is a complex structure of joints, ligaments, bones, and muscles. Unfortunately, it is all to common to sprain ligaments, irritate joints, strain muscles, and rupture discs, all of which will lead to back pain. While accidents, work injuries, or sports injuries can cause back pain, sometimes simple movements like picking up a light object off the ground, can have very painful results. Back pain can also be the result of a disease such as kidney infections, blood clots, or bone loss. We rely on the strength in our back to perform many physical tasks, even sedentary tasks such as sitting at a desk require our back muscles. Regardless of age, occupation, and ethnicity, nobody is insusceptible to the risks of back pain. 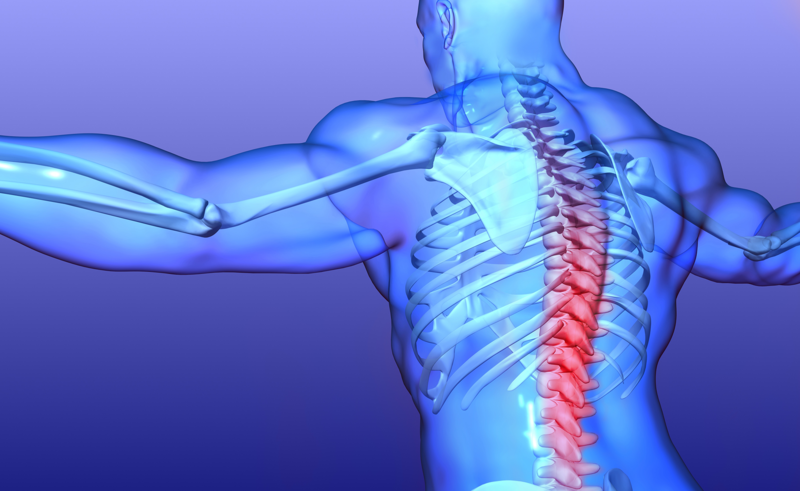 The experienced Chiropractors at Florida Spine and Injury have come up with a list of 5 Facts about Back Pain that we think everyone should know. Do your best to maintain a healthy diet and weight. Try and keep proper posture throughout the day. Lift objects off the ground with your knees by keeping the object close to your body, and do not twist when lifting. Stretch and warm up before beginning any physical activity. Accidents such as these happen all the time through no fault of our own. There are negligent people who cause us to suffer severe pain even when we are living a healthy and injury free lifestyle. Regardless of how well you take care of yourself and your body you can still become one of those Americans who is suffering from chronic back pain, and this can seem completely unfair. So, what do you do if you find yourself the victim of an accident, or if you're someone who begins to experience back pain for any number of reasons? If you are suffering from back pain regardless of the reason, you will need to be seen by an experienced chiropractor. Chiropractors specialize in treating those who are suffering from back conditions or accident injuries. It is a chiropractors job to treat the pain condition or injury at its source. Chiropractors do not prescribe addictive pain medications or conduct surgeries. Chiropractors believe in the bodies ability to heal naturally once the spine has been placed back into proper alignment. The experienced Chiropractors at Florida Spine and Injury have been helping people recovery from back pain for many years. We understand that back pain can really hinder someone's ability to get through every day life activities, and we do not want you to live that way. Our doctors offer a free consultation to see how we can best assist with your treatment and recovery. We will provide each patient with a specialized treatment plan. Just because you and someone else both have back pain does not mean that you will get the same treatment plan. We base our plans off of the individual and their unique health story. We do not believe in a one size fits all type of treatment. When you come to us, you will be examined thoroughly before a treatment plan is provided. Let our Chiropractors help with your back pain recovery, click the link to schedule a free appointment today.